FORMER champion James Wade will return to the Unibet Premier League in 2019 following confirmation of the ten-player field for the tournament, which also features Raymond van Barneveld for a final season ahead of his retirement. Darts’ widest-reaching tournament will see 17 nights held from February-May, as players compete for spots in the Play-Offs to battle for the prestigious title. 2009 champion Wade returns to compete for a tenth season in the Premier League, having won the European Championship and World Series of Darts Finals during 2018. Five-time World Champion Van Barneveld, the 2014 Premier League champion, will play in a 14th successive season as part of his farewell year on the circuit ahead of retirement. 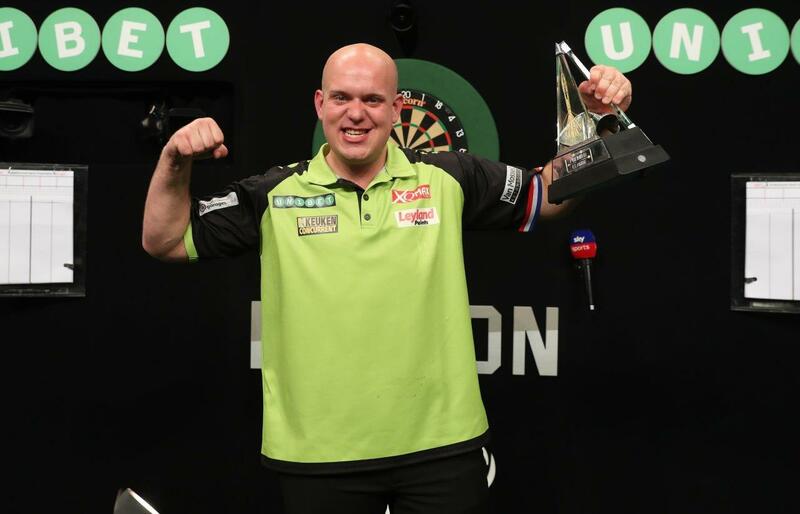 Four-time champion Michael van Gerwen will be begin his title defence when the season begins on Thursday February 7, having claimed glory in 2013, 2016, 2017 and 2018 and also won his third World Championship title on Tuesday night. Last year’s runner-up Michael Smith – Tuesday’s World Championship finalist – remains in the field following his success at the World Championship, while two-time champion Gary Anderson, former World Champion Rob Cross and 2017 Premier League finalist Peter Wright are also in action. Following the opening night in Newcastle on February 7, the Premier League visits Glasgow, Dublin, Exeter, Aberdeen, Nottingham and Berlin before a double-header in Rotterdam on March 27-28. Judgement Night in Rotterdam will see the bottom two players in the league table eliminated, with the race to claim Play-Off places continuing in Belfast, Liverpool, Cardiff, Birmingham, Manchester, Sheffield and Leeds. Tickets for the 2019 Unibet Premier League are available now via www.pdc.tv/tickets. The Unibet Premier League will be broadcast on Sky Sports and worldwide through the PDC’s broadcast partners, and through PDCTV-HD for Rest of the World Subscribers. For ticket information, please visit www.pdc.tv/tickets.